New York Appleseed has been proud to serve on the School Diversity Advisory Group (SDAG). 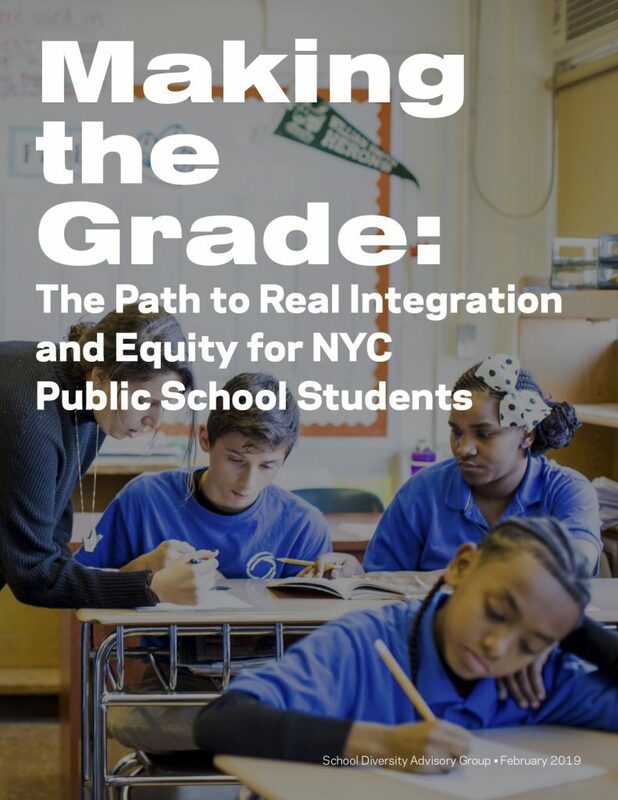 SDAG today released its first report, Making the Grade: The Path to Real Integration and Equity for NYC Public School Students, which offers a bold vision for integration and equity in New York City schools. The report’s embrace of IntegrateNYC’s 5 Rs of Real Integration shows a powerful commitment to youth voice in the policy process and a dynamic re-imagining of integration. We are happy the report calls out the use of middle-school screens as the “biggest contributor to middle-school segregation” and are confident the second report will offer more forceful recommendations calling for the removal of middle-school screens citywide. We urge the mayor and chancellor to adopt all recommendations in this report and to begin implementation of these initiatives immediately. We have a critical opportunity to chart the path forward towards diverse, equitable, and inclusive public schools. It’s time for New York City to lead the nation. Read the article in the Times with a quote from Matt Gonzales.